As summer temperatures peak across the country, it is important to be aware of children and heat stroke. According to the Manchester attorneys at Manning & Zimmerman Law, it only takes a few minutes for a car to heat up and become deadly to children inside. Click here for a video on how quickly a car can heat up. While it seems unfathomable to many parents to forget a child inside a car, statistics show that since 1990 at least 717 children have died from heatstroke when left unattended or after gaining access to an unattended vehicle. Kate Carr, president of Safe Kids Worldwide, said about 52 percent of heatstroke deaths in cars are the result of a caregiver forgetting that a child is in the car, 30 percent involve children who got into a car on their own, and 17 percent occur because a child is intentionally left in a car. In 10 minutes, a car can heat up 20 degrees. Cracking a window does little to keep the car cool. With temperatures in the 60s, your car can heat up to well above 110 degrees. A child’s body temperature can rise up to five times faster than an adult’s. Heatstroke can happen when the temperature is as low as 57 degrees outside! A child dies when his or her body temperature reaches 107. Note: Each state determines the age at which children can be left unattended in a vehicle, as does the duration of time a child can be left alone. Create reminders by putting something on the backseat next to your child. This could include a briefcase, a purse, or a cell phone, that is needed at your final destination. This is especially important if you’re not following your normal routine. Put a stuffed animal in the front passenger seat as an additional reminder. Take action. If you see a child alone in a car, call 911. Emergency personnel trained to respond to these situations want you to call. You could save a life. 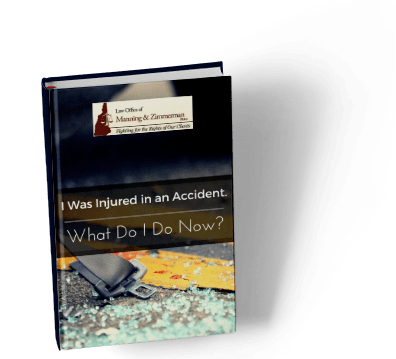 If you have been injured by another person’s careless acts, contact the Manchester attorneys at the Law Office of Manning & Zimmerman PLLC. We may be reached at (603) 239-2315, by email at info@MZLawNH.com, or by using the “contact us” or chat feature on our website. The NH personal injury attorneys at Manning & Zimmerman Law invite you to subscribe to our newsletter. We are also on Facebook and you can follow us on Twitter.